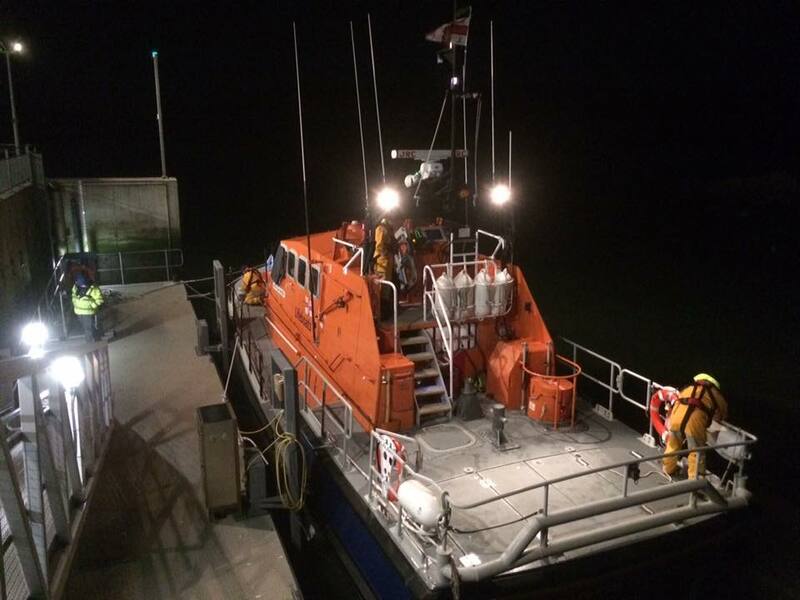 The Baltimore RNLI lifeboat launched just after midnight to go the assistance of an injured crewman with chest injuries on a fishing trawler. The lifeboat arrived on scene and two of the lifeboat crew brought a stretcher and first aid kit on board the trawler and assessed the casualty. He was then secured and transferred to the lifeboat and brought to Baltimore harbour where at Ambulance was waiting to transfer the man to a hospital in Cork.